Yes, you might compare Ntjam Rosie to India.Arie, to Patrice Rushen and Beyoncé; even to the queen of them all: Sadé. But comparisons are odious. Besides Ntjam Rosie may be singularly the most alluring and talented of them all. Ms. Rosie is enthralling on The One. She has crisp choral articulation and is often gracefully athletic in solo passages where she resembles a long-limbed gazelle leaping and bounding, and making impossible things happen with song. At her sublime best, Ms. Rosie is so singular that comparisons with other singers like those mentioned above, are quite irrelevant. 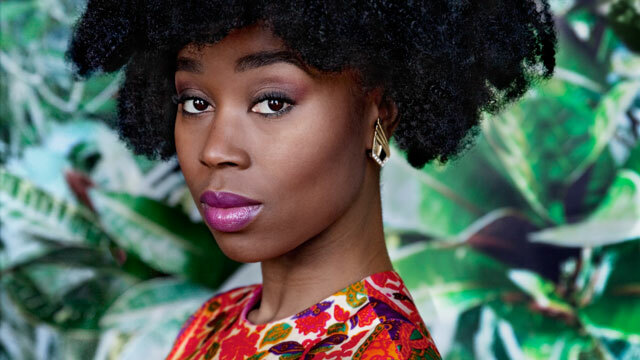 She plays by her own expressive rules that may be solidly based in a musicology that fuses the gracefulness of Africa with the sensuality of Europe. But she is never restricted by this. It is, on the other hand, an invitation to invent and create new things. At times during this recording, she sounds as she is creating an intense tone-painting, while also projecting gravity that past generations generated with larger vocal contingents. Her vocals are distinctive, with a purity and accuracy of vocal line. This album comprises music written in 2014. They appear to be of a theme; that being reaching for a higher power. And that would explain their soaring quality. Songs also explore brooding on goodbyes, separation and loss from the perspective of a woman’s searching soul. The risk with a project like this is one of tone; invariably many of the songs tread similar emotional ground and in a style whose emphatic huskiness can all too easily curdle in the contemporary ear. Ntjam Rosie addresses this neatly by adding a wonderful band that plays behind her roughing up the neatly scalloped edges of the music when things threaten to get a bit too precious. 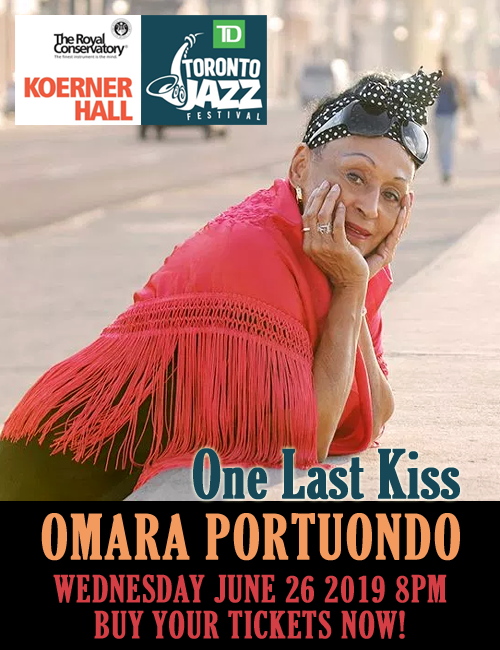 There are plenty of ballads some of which are reminiscent of the ones that jazz divas once sang in the 30’s and 40’s. Most successful, however, are the folk and church-influenced numbers. Simplicity and intimacy inform other music, while the straight up beauty of “Reconciliation Song” is utterly memorable. There simply isn’t a recording of comparable quality in this repertoire. 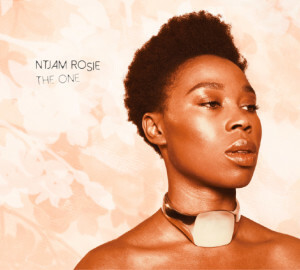 Once more, Ntjam Rosie continues to do what she does best and retains a freshness and questing spirit that sometimes eludes singers of her vintage. A sense of joyous music-making has marked her from the start and this is something she has never lost. She was utterly infectious on her first album and she still is. Track List: Intro Metata’a (The Beginning); A Nye’e Fo’o Ma (He Loves Me So); The One; Always On The Run (Featuring Pink Oculus); Forever Love; Akiba (Thank You); You Build Me Up; Covenant (Featuring Lamin Kuyateh); Dear To Me; Pas De Retour (Featuring Ronald Snijders); Reconciliation Song; I’m Loved (Featuring Eric Vloeimans); Love To Be Here. Personnel: Ntjam Rosie: lead and backing vocals, and percussion (11); Jorn ten Hoopen: guitars; Alexander van Popta: keyboards; Bas Kloosterman: bass; Udo Demandt: percussion; Tuur Moens: drums, small percussion, acoustic guitar (6); Pink Oculus: vocals and rap (4); Maite Neri: flute (6); Ionnis Marinos: trombone (6); Itay Weissman: clarinet; The Magic Strings: Asia Czaj: violin(1, 2, 7) ; Ewelina Krysiak: violin(1, 2, 7) ; Nadia Al Hajjar: viola(1, 2, 7) ; Judith Groen: cello (1, 2, 7); Lamin Kuyateh: kora (8); Ronald Snijders: flute (10); Eric Vloeimans: trumpet (12).